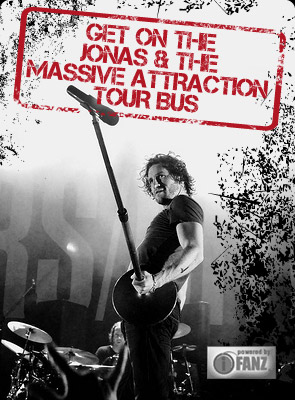 JONAS & THE MASSIVE ATTRACTION ROCK PARLIAMENT HILL! Jonas & The Massive Attraction took Parliament Hill in Ottawa by storm on July 1st as part of the Canada Day In The Capital celebrations, bringing some edge to the nation’s big party. The sun came bursting through the clouds as the band took the stage for the NOON SHOW to perform their hit single “Respire/Breathing”, that was broadcast from coast to coast on CBC television. For the EVENING SHOW, Jonas & The Massive Attraction turned up the heat a few notches and rocked the hill, performing their Top 10 hit “Big Slice”, “Seize The Day”, “Je crie ton nom/Tidal Wave” and a brand new song “Afterlife” from their new album X, much to the excitement of the over 50,000 in attendance. Watch the Canada Day LIVE performance of “Je crie ton nom” courtesy of CBC Television.